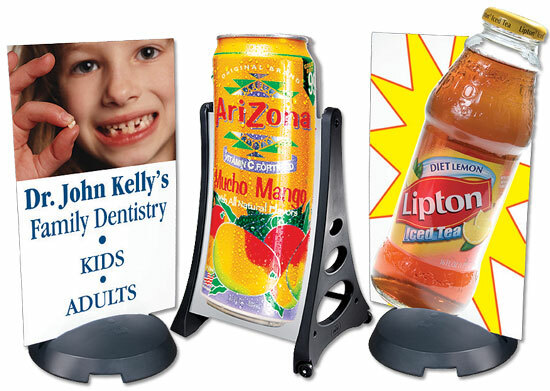 Let us design and produce custom die-cut signs to fit any of our sidewalk sign holders. The possibilities are very exciting. Call us today for a consultation..